IA Scholarship students from San Jose pose at one of the pullouts on Hwy. 243. They said they'll miss the scenery. 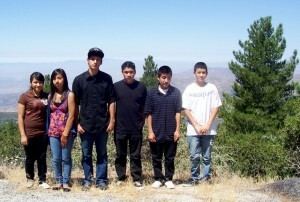 As they left the Idyllwild Arts campus last week, each of the six scholarship students on the van were crying. They had a great time, and didn’t want to go home yet. “I want to stay here two more weeks,” said Jose, a trumpet player. He said that he’d miss his friends, the counselors, and his new girlfriend that he met at the school dance. But he was also sad because he was going to miss his final concert. The flight was prearranged, and IA tried to change it so he could make the concert, but Jose’s parents didn’t want him traveling alone. 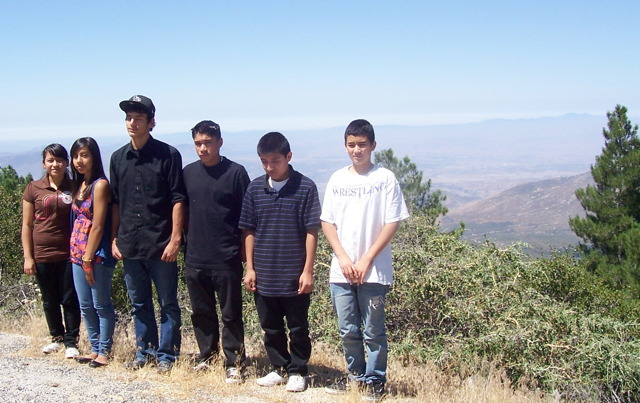 For years, the Idyllwild Arts Summer Program, along with the Monterey County Office of Education (MCOE), have been providing scholarships to migrant worker’s kids from California. 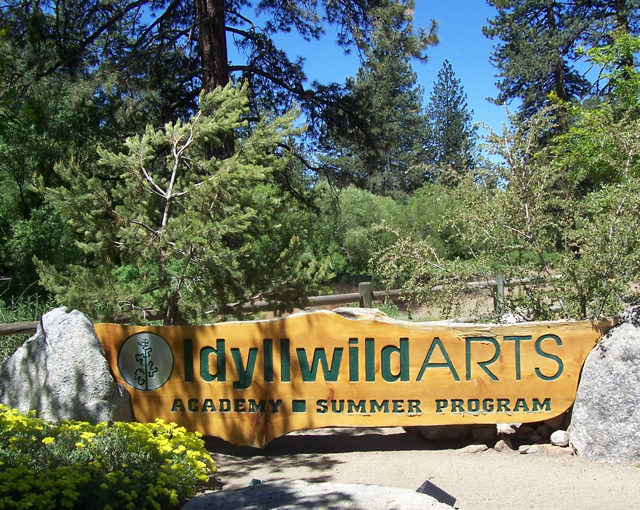 Idyllwild Arts picks up the classes, room and board, while MCOE picks up the students’ flights and guardianship, said Diane Dennis, the registrar at Idyllwild Arts, who handles the coordination. Diane said that she’s been working with Jorge Morales from MCOE’s Migrant Education Department for about five years now. Steve Fraider, director of the Summer Program, remembers one MCOE scholarship student, a French horn player, who came to Idyllwild Arts a few years ago, and made tremendous improvement. 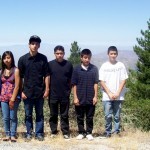 And to think that the Idyllwild Arts summer scholarship was the beginning of this success story. “When the kids come here, they’re in a different environment, and generally, they thrive,” added Steve. The six migrant scholarship students who arrived at Idyllwild Arts two weeks ago, were from San Jose, CA. All were art students, except for Jose, a gregarious trumpet player. During that time, Jose met a lot of music students, including some who played jazz, an art form that he had never tried before. Besides trumpet, Jose plays guitar and bass guitar. 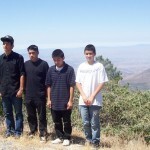 Caleb, a jazz trumpet player who goes to Idyllwild Arts Academy during the school year, impressed Jose. When he comes back next year, Jose will likely take art classes, instead of music. He said that he didn’t even think about “tagging” any trees on campus because everyone was so nice to him. He also writes poetry, and may take some writing classes when he returns next summer. “But my parents don’t want me to be an artist,” he said. 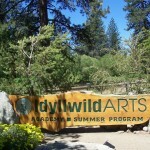 At Idyllwild Arts, there are many role models with success stories. Professional artists, musicians, teachers, and others, supporting themselves with their art. Vanessa, from MCOE, arrived early at Ontario Airport to chaperone them on their return flight. 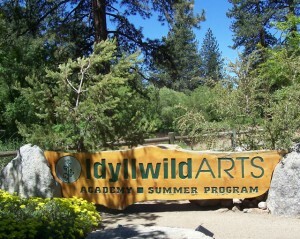 The students talked to her excitedly about their stay in Idyllwild, showing them drawings, paintings and jewelry. Minerva, one of the two girls on this trip, said she was sad to leave her roommate, who was from Korea. “When we left, she was crying too,” Minerva said. They plan to keep in touch via email and Facebook. Johan, whose right hand was wrapped in an ace bandage, said that he sprained it while playing “Catch the Flag,” a game similar to tag football. When Vanessa heard that Jose missed his concert, she didn’t even miss a beat. “Next time,” she said, and he nodded in agreement. This entry was posted on Tuesday, July 27th, 2010 at 2:22 pm and is filed under Ceramics/Pottery, Idyllwild Arts Academy, Music. You can follow any responses to this entry through the RSS 2.0 feed. Both comments and pings are currently closed.